The rupee traded in a range of 71.94-71.52 against the dollar, before settling at 71.84 for the day. The rupee gained 35 paise against the US dollar to end at 71.84 on Friday, moving away from record lows registered in recent sessions. That marked a second day of recovery in the rupee against the greenback after the Finance Ministry said the government and the central bank would do "everything" to ensure that rupee does not slide to "unreasonable levels". The weakness in the US dollar overseas also supported the rupee in the forex market, say analysts. 1. The rupee traded in a range of 71.94-71.52 against the dollar, before settling at 71.84 for the day. That marked the rupee's return to 71 levels against the US dollar after six days. 2. The dollar index - which measures the greenback against a group of six major currencies - hit a one-and-a-half-month low, after weaker-than-expected US inflation data and a recovery in emerging markets. 3. Forex traders will closely watch an economic review meeting by Prime Minister Narendra Modi scheduled on Saturday for any steps that could prop up the rupee. 4. Strength in domestic stock markets also supported the currency. The Sensex closed 372 points higher at 38,090, while the NSE Nifty rose 145 points to settle at 11,515. Strong advances in banking, financial services, energy, metal and pharma stocks pushed the indices higher. 5. For the week, the rupee settled 12 paise lower against the American currency. 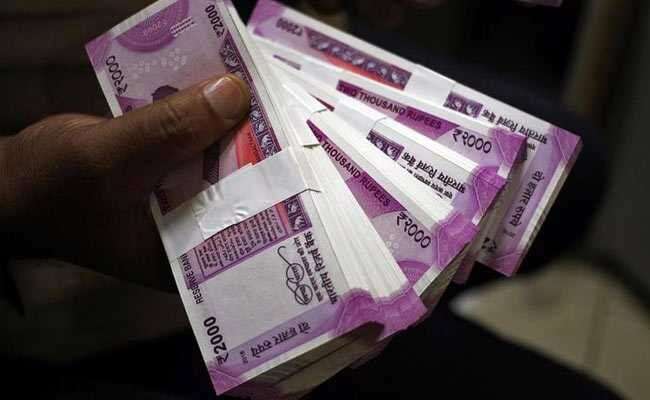 The rupee has depreciated more than 12 per cent against the dollar so far this year, cementing its position as the worst performing Asian currency.